The review: Bouts of depression have been known to enhance both the brain's creative faculties and problem-solving skills. In fact, many consider these the evolutionary explanation for depression. 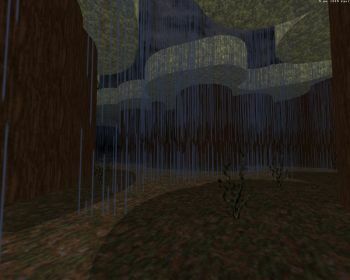 This map was born out of such depths, and it is merely the latest installment in Zykov Eddy's series of "art" maps. 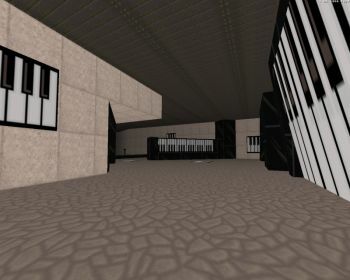 The map consists of many wildly different locations that are connected via a network of doorways that serve as teleports. Each location has its own unique theme and, more importantly, mood. Traditional gameplay has been forgotten; while you're still chasing keys, the emphasis is quite clearly on sights & sounds that convey different emotions from retro Duke-in-a-computer-game to scratching your head at the sight of abstract weirdness. You might get lost a few times but the automap is there to help you. The fun comes from the joy of discovering what's behind the next doorway.